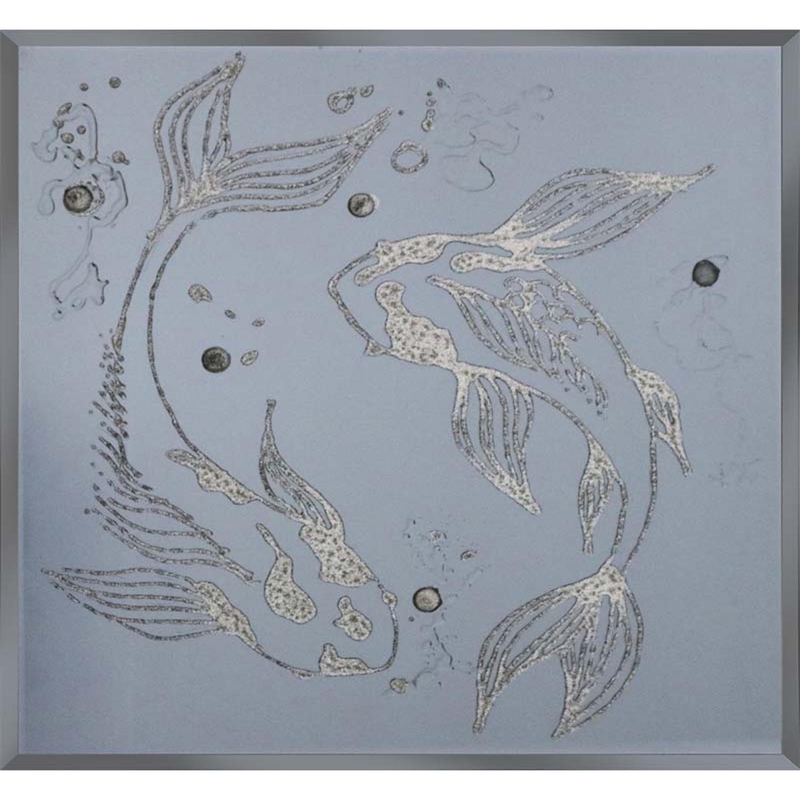 Give your home a sea side vibe with this unique but stunning Silver Glitter Fish on Smoke Funky Mirror, amazing for the bathroom. This unique piece was designed and hand finished in the UK and is also available in custom sizes when you purchase. Featuring two swimming fish this is perfect for anyone who enjoys fishing or simply likes them, . You wont fail to impress with this individual design. Custom sizes available. For further information, please contact our office on 01642 455589.